Luxury. That word sums up the experience of staying in a castle. 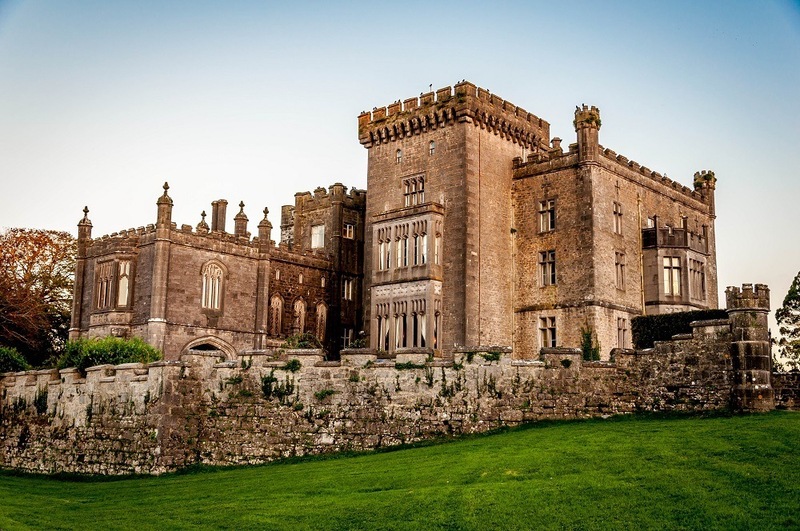 Although many visitors to Ireland stay in small hotels or local bed and breakfasts, sleeping at least one night in a castle is still at the top of their list. On our recent trip, we found that castle hotels in Ireland varied wildly, but each offered a different magical accommodations experience. The wind blows strong in northwest Ireland. As we came into County Donegal and drove around the south end of Lough Eske, the wind was whipping small whitecap waves on the lake. A chill seemed in the air as we entered the castle grounds and passed under the mirrored sculptures of two swans. The gate welcomed us: Solis Lough Eske Castle. Our journey to this place started with two pictures on the Internet resembling something of a before-and-after beauty makeover. The before picture showed the ruins of a sad, bleak castle with trees growing up through the center and completely covered in ivy and weeds. The foreground of the picture showed a fresh coating of snow. The scene could not be more unfortunate. The after picture showed the same castle illuminated at dusk with lights bathing the pale pink sandstone. The castle is framed against an eerie blue sky with light wispy clouds. The tale of two pictures captured my imagination as I researched this magnificent property. I knew we needed to find a way to stay here. A castle has existed in the woods at Lough Eske since at least 1474. The current castle was re-built in 1861 and was restored and re-opened as the Solis Lough Eske Castle in 2007. And it has been lovingly restored. Within the shell of the old castle and in wings extending from it, Solis has built an intimate 96-room hotel and world class spa. The rooms are gigantic, the beds are uber comfortable, the restaurant is world class, and the spa is magical. This hotel exudes class, luxury, and romance. 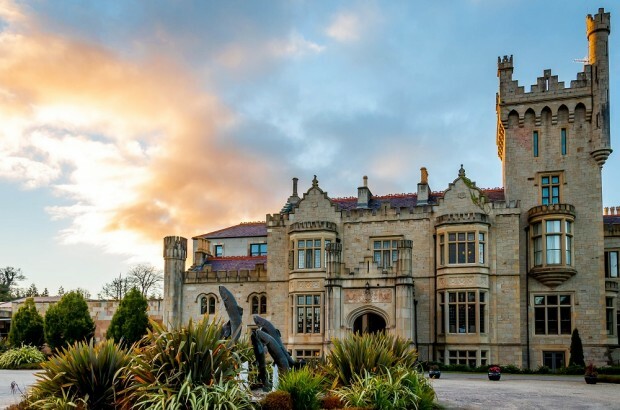 The Lough Eske Castle is one of the nicest hotels at which we’ve ever stayed and it is easy to see why it has been consistently named the World’s Best Luxury Country Hotel. The morning fog clings like a blanket to a hill above Bansha village in County Tipperary in southern Ireland. As I cross the small stream, the gravel lane crunches under my feet as I imagine carriages rumbling up the hill to the Bansha Castle. The lane curves under the copper beech trees and the castle towers above the little lane. Ivy covers the front, but the building looks a little lop-sided with one square tower and one round tower. Built in 1760, this 300-year old country estate two hours southwest of Dublin has been in the Russell family for generations. As I entered the castle, the massive yellow door thuds solidly behind me. Inside, the fireplace crackles and casts shadows in the dimly lit rooms. Bansha Castle is a beautiful country home. 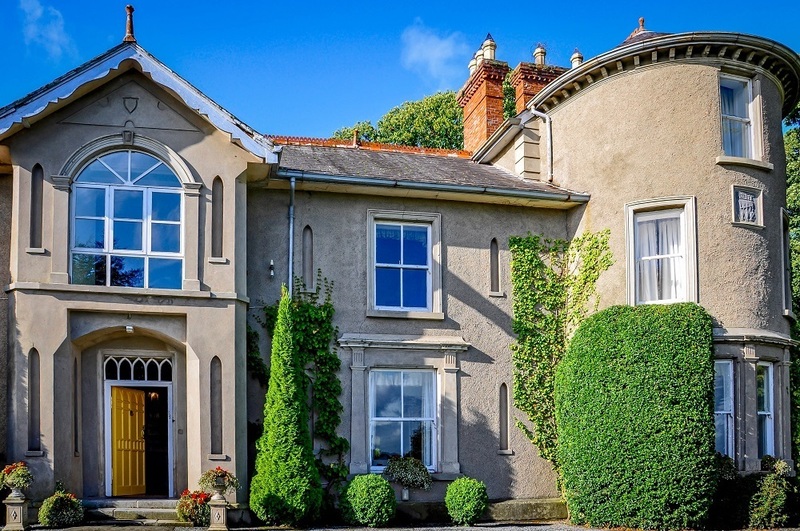 Bansha, one of the smaller castle hotels in Ireland, focuses on longer-term group vacation rentals. I stayed here for four days with a small group of other travel writers. We had the run of the house during our visit. The owners live on the first floor under the square tower side of the castle, but the rest of the castle (the main wing, the round tower side, the second floor and both towers) were ours to take over. There is a spacious kitchen that comes fully accessorized and was ready for us to cook. We took our meals in the formal dining room just off the kitchen with views of the copper beach trees and Bansha village below us. The bedrooms and bathrooms at Bansha are the finest. We may have been in a 300-year old estate building, but we wouldn’t have known it. The bathrooms must have been recently remodeled and had large claw-foot bathtubs and nice high-pressure showers. In the bedrooms, comfortable beds and fine linens made it real difficult to get up on a couple of cold mornings. Bansha Castle is a great getaway for an extended, multi-generational family holiday or a small business retreat. Sometimes, when you’re traveling, a big problem becomes a great experience. On our last night driving the Irish countryside, we’d planned to stay at a bed & breakfast in Sligo. And then the owner decided to go out of town and visit her family. That left us with one final night with nowhere to stay. There was some kind of event in Sligo town that weekend and literally everything seemed full when we contacted them and we did not fancy sleeping in our cramped little rental car. Things were not looking good for the Travel Addicts. Enter Hotels Ireland. From time to time, we use booking aggregators to source other accommodation options. This country-specific site turned into a godsend and literally saved the night. Through Hotels Ireland, we found Markree Castle, which sits about 14km outside of Sligo in the most enchanting setting you can possibly imagine. We arrived at the castle property and turned into the drive, passing through a giant stone entrance gate. For the next 2km, we drove across the vast expanse of the 500+ acre property passing an old man dressed in tweed walking his dog and a young lady riding her horse. Rounding a bend, we got our first view of Markree Castle – imposing and exactly what you’d think a castle would look like. The Markree Castle has been in the Cooper family for practically forever. It is now run as a 30-room hotel by the 10th generation of Coopers, with minimal modifications. Entering the castle hotel is like traveling back in time. The little natural light to penetrate inside the castle pours through a stained glass window that traces the family tree of the Coopers to the 1200s. The strong aroma of smoke hangs in the air and filled our nostrils from the massive open fire in the lobby, which cast a flickering light across the dark wood panels. The floors creaked gently under our feet as we traversed the second floor balcony to our room. This is a castle that takes you back in time. We stayed in the grand Tom Watson room, named for the golf legend who was the first guest to stay in this room. The room has a huge bowed window that looks out on the woods and the lane approaching the castle. The king-sized bed was one of the most comfortable we slept in during our whole trip in Ireland. The room was extremely large and if we were golfers like Tom Watson, we would have had plenty of space for our clubs. Markree Castle hotel is an old gem. At every point, you won’t forget you’re staying in a castle. 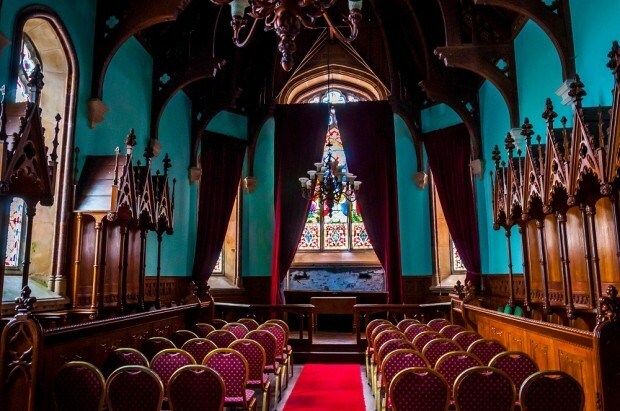 Update: The Coopers have sold Markree Castle to a hotel group that specializes in restoring such venues, and they have helped oversee renovations while preserving the integrity of one of the most historic castle hotels in Ireland. Travelers to Ireland should carefully consider their castle hotel experience. Some hotels offer authenticity, some offer luxury, and some offer convenience. Pick your castle to match your needs and pack your bags! Staying in a castle is one of the great bucket list experiences in Ireland! We were the guests of Lough Eske and Hotels Ireland, but opinions of the unique and luxurious are our own. 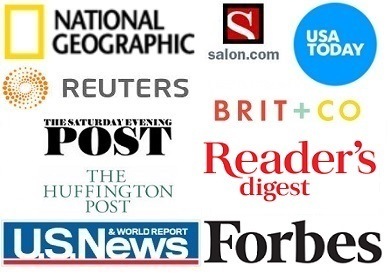 Note: Some links may be affiliate links, which means Travel Addicts may earn a few pennies if you buy something, which helps offset our costs of web hosting – all at no additional cost to you. What do you think about Castle Hotels in Ireland? Thanks Beatrice. #Castleliving all the way. “The wind was whipping whitecap waves”. Beautiful line and what I remember of much of Ireland’s coastline. Didn’t stay in a castle, but after readingr this I’ll be changing that. Thanks Kurt! We’re big fans of the castle and think everyone should try it at least once in Ireland. 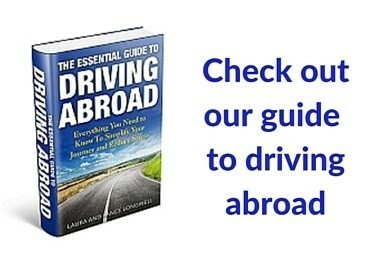 They’re all different, so you’re bound to find one that will meet your travel style. Nice roundup of these hotels, they all look fabulous! Thanks Michael! We loved our time exploring the castle heritage of Ireland. Loved Bansha Castle, my first time staying in a castle and I thought it had a nice balance with modern amenities. I always thought the castles in Ireland were interesting but didn’t realize there were so many you could sleep in! This post is making me a little said I missed out on TBEX in Ireland this year…. these would have made a great addition to the conference! Oooh I stayed at a castle in Ireland last year, too–Dromoland. It was fantastic! Highly recommend. 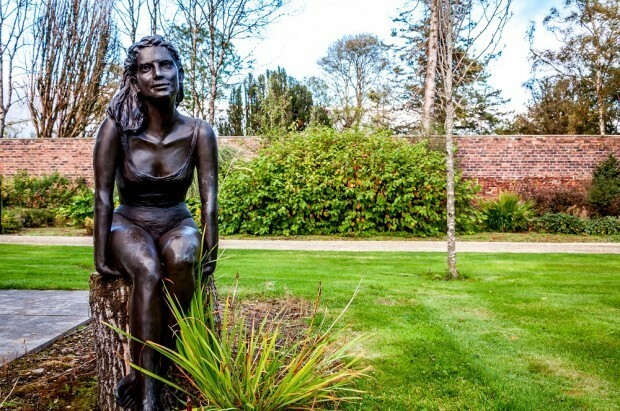 We loved having an opportunity to build a trip around TBEX and explore some of the areas of Ireland and Northern Ireland that we hadn’t been to before. The castles were a huge part of that, which we were lucky to experience. Highly recommended! I love castle hotels. Never stayed in one in Ireland but Scotland also has so many! I love it! We stayed at a castle in Italy and loved it! It’s a very different type of experience. When we go to Ireland we’ll for sure look into these too. We absolutely loved it and can’t recommend it enough. Which castle did you stay at in Italy? Might need to put it on our list if you recommend it. Wow, I’d love to stay at any of these places! WOW. Castles. You’ve got us drooling to stay in one now! I love the statue of the Lough Eske Castle. I wish you could have put more pics of those lovely statues. Laura, there a whole bunch of statues and art and Lough Eske. Maybe one day we’ll do a whole post specifically on art at Lough Eske. We’ve stayed in a quite a few castles around Italy and have always had a great experience. I would definitely stay in castles in other countries. Will have to keep that in mind the next time we’re in Italy!